Magnum photographer Stuart Franklin takes us through the importance of landscape photography throughout his practice. 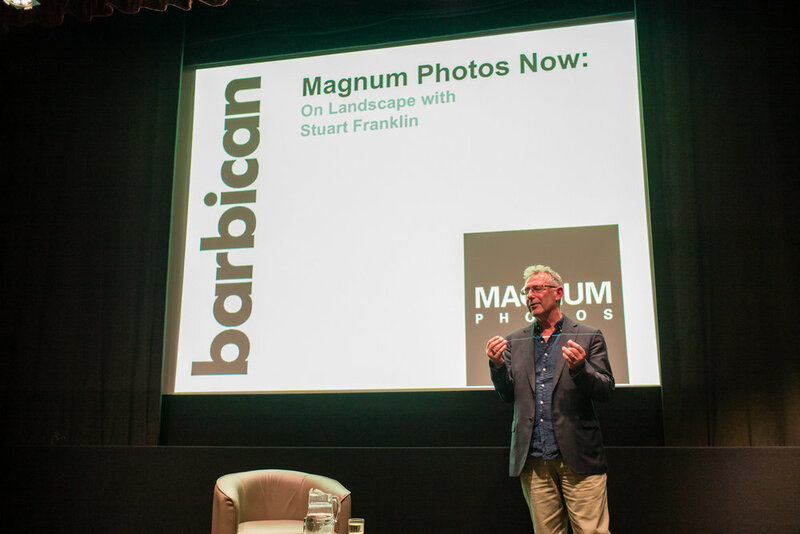 Join us for our next Magnum Photos Now talk, where Stuart Franklin speaks on landscape photography. By touching upon his past as well as ongoing projects Franklin focuses on the contradictory associations that the term “landscape photography” continues to invoke: between the natural and man-made, between the cultivated and sublime, between the aesthetic and political, between the objective and subjective, between here and there. Stuart Franklin has been engaged in photographing landscape since the 1970s and will be showing work from The Time of Trees (1999), Sea Fever (2005), Footprint (2008), Narcissus (2013), and from his forthcoming book, Analogies, to be published by Hatje Cantz in March 2019. I mean, come on.. Its JOEL MEYEROWITZ!!! Much kudos to Nick Turpin for this one. Founded in 2016, @womeninstreet is a social media project on several platforms for women street photographers. Showcase, promotion, community, network, and resources for emerging and established artists. We are on Instagram, Facebook, Tumblr, and publish the blogzine Her Side of the Street. The publication provides a showcase platform for contemporary artists, featuring interviews and views from established artists, and exposure opportunities for emerging photographers. The publication’s monthly “galleries” also celebrate women curators, photo editors, and photographers who regularly guest curate exhibitions published on the blog. Ongoing submission opportunities are available through our Facebook and Instagram. As one entity existing on several platforms, photos submitted through one @womeninstreet platform may be featured on another. To provide networking opportunities and promote visibility, we maintain a directory in the form of a “World Map of Women Street Photographers.” We keep an updated guide to resources for women photographers. Community founder and magazine editor is Casey Meshbesher. Matt Stuart was raised in the leafy suburbs of Harrow, North West London. He admits to a less than distinguished school career, but was called upon aged 11 to play a trumpet solo in front of the Queen Mother. Her Majesty’s reaction is not recorded. A little later, in 1986, Matt discovered skateboarding after watching the film “Back to the Future”. Skating occupied his every waking moment until 1994, when he looked up from the half-pipe and noticed that girls had got a lot more interesting. Matt’s father introduced him to photography, handing over books by Robert Frank & Henri Cartier-Bresson. Ever since then, photography has been Matt’s overriding passion, although he’s still quite interested in skateboards and girls. Iconic Magnum photographer Bruce Gilden is joined in conversation by Emma Chetcuti, Director at Multistory, to discuss his distinct approach to photography. It was Magnum Photos founder Robert Capa who famously professed “if your pictures aren’t good enough, you’re not close enough”, but it was iconic Magnum Photographer Bruce Gilden who made this dictum his defining factor. For Gilden, physical proximity to his subjects is paramount, which, combined with his signature use of flash, make for photographs that invite the viewer to explore his subjects’ imperfections in the most minute and vivid detail. In conversation with Emma Chetcuti, director at Multistory, this latest instalment of Magnum Photos Now, will explore what distance means in photography for the photographer, the subject, but also for the viewer. FUJIFILM and Magnum Photos invite you to join us for a talk by Magnum photographer Thomas Dworzak discussing his body of work and what "HOME" means to him. Alex Prager’s photography which primarily uses staged figures to create meticulously devised mise en scène, is often described as filmic and hyperreal, synthesizing uncanny images of fiction and reality. Her images touch upon themes of the voyeurism, alienation and anxiety, capturing a fractional slice of a narrative, inviting the viewer to complete the story. Prager will discuss her photographic practice with Nathalie Herschdorfer, presenting images from across her projects, to examine the construction of images and the consumption of images in our media-saturated society. Alex Prager is an American art photographer and filmmaker, who creates elaborately staged scenes that draw inspiration from a wide range of influences and references, merging past and contemporary sources to create a sense of ambiguity. Nathalie Herschdorfer is Director of Museé des Beaux-arts, Le Locle, Switzerland and a long-time curator with the Foundation for the Exhibition of Photography (FEP). Part of a long-running touring series of Photoworks talks, acclaimed Magnum photographer Alec Soth reveals the eight photographs he would take with him to a desert island. Loosely following the format of Radio 4’s Desert Island Discs, Soth will discuss his choices with host Stephen Bull and explore how his choices reflect his life and career.